This week I thought I would try out cheese straws so do pop back next Tuesday to take a look at the results. 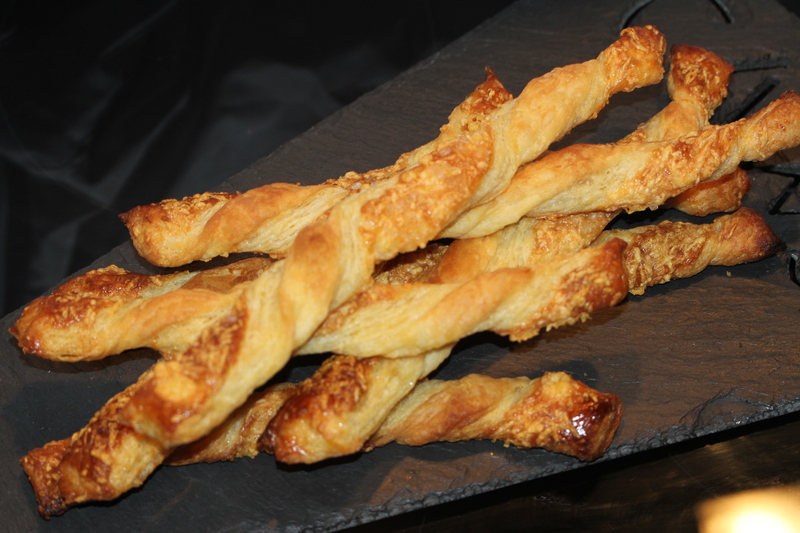 Cheese straws…….. they were great fun and I’ve learnt how to make rough puff pastry. I took them out of the oven a little bit too soon and after eating half of one realised that they needed a bit more baking. So back into the oven for another five minutes and out they came looking and tasting yummy. We had them as nibbles last night when my Godfather Graham came all the way from London to bring me lots of Christmas presents it was a fun evening.